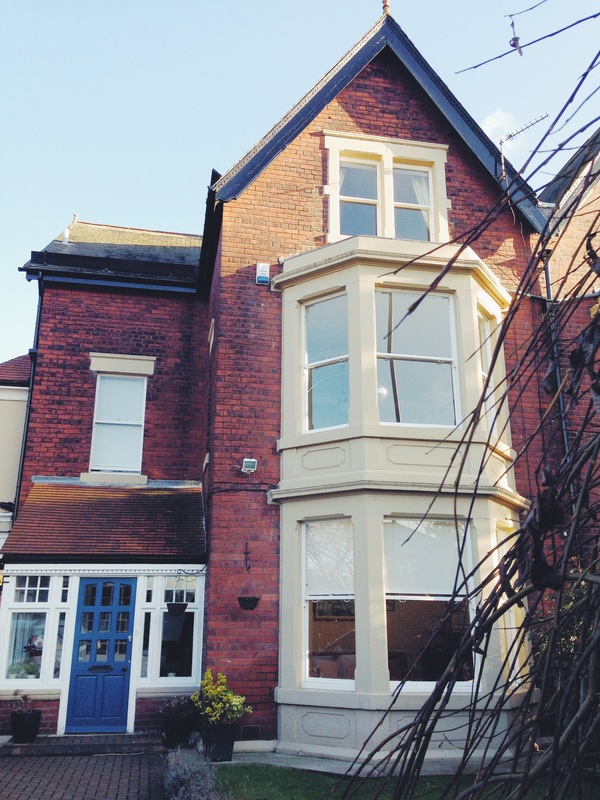 Craigmore is a large red brick house on the east side of Heaton Road, number 252. It’s in the same block as Heaton Methodist Church. The current owners, Kelly and Ian Atkinson, have documents going back to the original purchase of the building plot from William Watson Armstrong, Lord Armstrong’s heir. From these deeds, mortgage applications and letters, together with trade directories, census returns and other archival material, we’ve been able to compile a short, albeit incomplete, history of the house and some of the people who’ve called it ‘home‘. The house stands on what was, until the 1880s, Heaton Town Farm. We can even see, from estate plans held by Northumberland Archives, to what use the land which lies below the house was once put. In 1865, when William (later, Lord) Armstrong auctioned some of his estate, it was a field with the unassuming name of ‘Back Close’, used for pasture. An even older map in Newcastle City Library, the original of which can be dated to between 1756 and 1763 (the library has a copy made by John Bell in 1800), also shows Back Close. Thank you to Tyne and Wear Archives for the transcription below. It looks as though animals grazed on this patch of Heaton for far longer than, to date, people have lived there. Fields of Heaton in the 18C. But in 1901, the land was sold to a local man, Frederick Burn White. Frederick had been born in Blyth in 1871 but by this time was living with his widowed mother, Jane, at 28 Rothbury Terrace. His father, a joiner, had died while Frederick was a boy. In the 1891 census, Jane describes herself as a ‘builder’ and so presumably was managing the family business. If you walk down the back lane, you can still see the substantial outhouse in which they must have stored materials at that time. Eventually Frederick seems to have taken charge of the firm. He later married and moved to 309 Chillingham Road, and eventually died, aged 92, in Morpeth. There were strict conditions attached to the sale of the land and the quality of the houses to be built on Heaton Road, including on Back Close: roofs were to be of ‘Bangor or Westmorland slate or roofing tiles from Ruabon or Staffordshire of uniform tint’; every home was to be ‘self-contained, that is should never be let or occupied in separate parts but… by one family only’. In 1902, Frederick sold the newly built house to the well-to-do Robert Keith Imeary. The Imeary family had many business interests. Robert’s father was best known for his chemical works in Heworth, which manufactured ‘alkali, soda ash, crystals and bleaching powder’. At one point, it employed 77 men and 13 boys. He also manufactured lamps, owned ships and farmed 35 acres. Robert himself was born in Co Durham and lived as a young boy in Westoe with his parents, maternal grandmother (also described as a ship owner), an aunt, sister, brothers and a servant. By 1881, now 20 years old, he was living in Hexham with Sarah, an aunt on his father’s side, helping her to farm over 100 acres. When she died in 1889, it’s possible that Robert inherited a substantial sum, as Sarah died a spinster and with no children. By 1901 Robert himself was married and living in Jesmond with his wife, Margaret, her mother, their baby son, also called Robert Keith and two servants. Robert at this time described himself as a ‘gentleman (medical student)’ and was soon to buy Craigmore. The Imeary family’s stay was short, however. By 1909, the family had moved to Lancashire. The next occupier was the family of Frederick Charles Davison, who rented the property. Davison was the eldest son of an auctioneer and had followed in his father’s footsteps. In 1891, 23 year old Frederick was an auctioneer’s cashier, living with his parents and seven brothers and sisters in Jesmond. But a year later he married Jane Ann Slater, daughter of a pawnbroker, and, by 1901, Frederick described himself as both a pawnbroker and an employer. By 1911, he called himself ‘Master Pawnbroker’ and was living at Craigmore with his wife, and three young sons. The family business, called Slater and Davison, had several shops, including in Bamborough Street in Byker. Frederick died in Jesmond in 1939, with his address given as 18-20 and 22 Bamborough Street Byker. He had evidently done well though, leaving over £9000 in his will. In 1912, Robert Imeary finally sold the house to Constantine Charleton Brown. Constantine was born in 1865, the sixth and youngest child of wherry owner, Allen Brown and his wife. Allen Brown had started his working life in Howard Street, near Byker Bar, as a waterman (someone who transfers passengers or cargo across and along city rivers and estuaries – an occupation going back to medieval times). 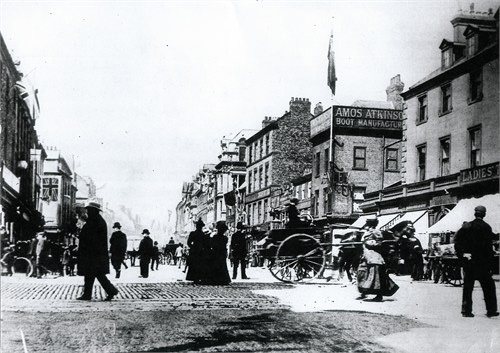 He moved to Richmond Street by his early 20s and married Isabella Stead. 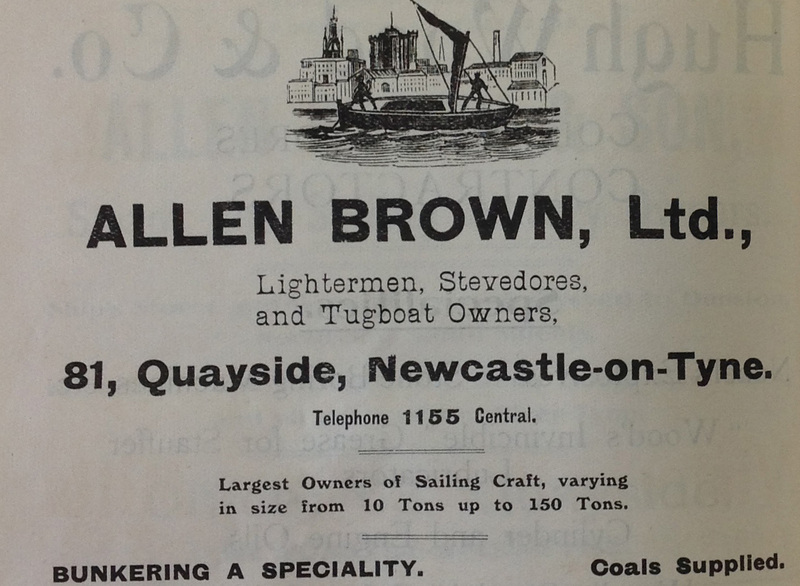 In the 1869-70 trade directory, Allen is described as a lighterman; a lighter being a cargo-carrying river craft. Later, perhaps a sign that the business was thriving, the growing family moved to Ridley Villas, on what is now New Bridge Street, where his neighbours were mainly manufacturers, engineers, clergymen and managers. In 1889, Constantine married Annie Hill Gray, daughter of another steam boat owner, Edgar Gray, and they moved to Clarence Street. By 1901 they were living at 61 Heaton Park Road with their five children, Nora, Constance, Charleton, Stanley and Lesley plus a servant. By this time, Constantine described himself a steam wherry owner. The business was still called Allen Brown. The new owner was Mary Hall of York, who two years later married Arthur Mason. They didn’t live at the property but rented it to a Mrs Constance E Crawford, who lived there for almost 15 years. The owners and occupiers for the next 50 years or so remain something of a mystery. We know their names: after Mrs Crawford, in 1953, came Dorothy Corbett nee Ritson; then in the 1960s, it changed hands three times, first of all to John Irving Hurst, ‘licensed victualler, formerly of the Queens Head , Cullercoats’ and his wife, Edith, and then to Mary Winifred Johnson of Pooley Bridge in Cumbria, then finally to Thomas and June Conway, formerly of Longbenton, who stayed for 20 years before selling to Alan and Elizabeth Hynd. Hopefully, we’ll add some of their stories as time goes by. The current owners are Ian and Kelly Atkinson and, if we mention Ian’s middle name, generations of Geordies will know it. It’s ‘Amos’, a name which has been handed down through generations of Atkinsons, with Kelly and Ian’s son, Evan, continuing the tradition. Kelly told us that the Atkinson’s family tree goes back to Tudor times: ‘All were cobblers or tanners’, including Ian’s father, Glyn. The first Amos Atkinson we have found in the local trade directories was born in Morpeth in 1768 and, by 1804, he was already a boot and shoemaker. 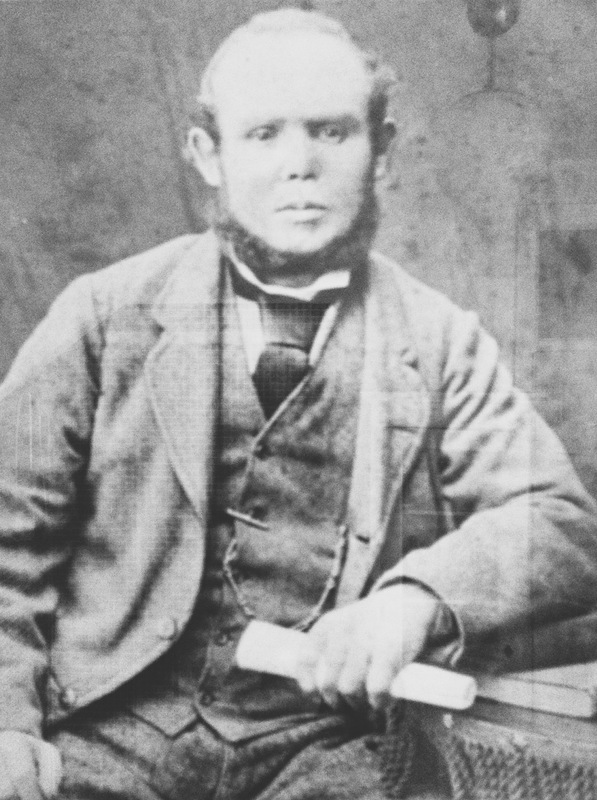 His first son (1833-1902), pictured below, naturally also called Amos, gradually expanded the family business. He was running a boot and shoe manufacturers on Percy Street by 1859. It’s interesting to look at Amos’s immediate neighbours at that time. There were rope and hemp manufacturers, a gilder, a basket manufacturer, a saddler, a cartwright, a chimney sweeper (sic), a hay dealer and a farmer, as well as at least four other boot makers, none of whose Newcastle city centre businesses, we can be fairly sure, lasted into the late twentieth century. By 1861, Amos employed 7 men, 1 woman and a boy. Ten years later, 11 men and two boys and, by 1881, 13 men and 3 boys. He operated from a number of Newcastle addresses before opening the shop which many people will remember on Northumberland Street. Incidentally the ornate plaster work isn’t as old as many people imagine. It was added in 1953 to commemorate the queen’s coronation. 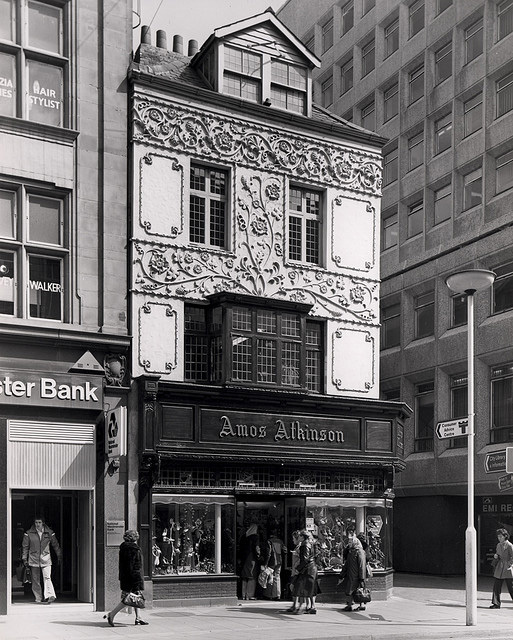 Eventually, the company had five branches, with the Newcastle branch a familiar sight in one of Northumberland Street’s best loved buildings until the early 1990s. The Morpeth shop was the last to close, following the floods which devastated the town in 2008. The above photograph was taken around 1900 at just about the time William Watson Armstrong was selling a small parcel of his Heaton estate to Frederick Burn Wright, but the local farm hands, dairy maids and shepherd boys, who previously strolled through the field formerly known as Back Close, may, if they were lucky enough to have been shod at all, have been wearing Amos Atkinson boots decades before that. Also, don’t hesitate to get in touch if, like Kelly and Ian, you’d like to find out more about the history of YOUR Heaton house. 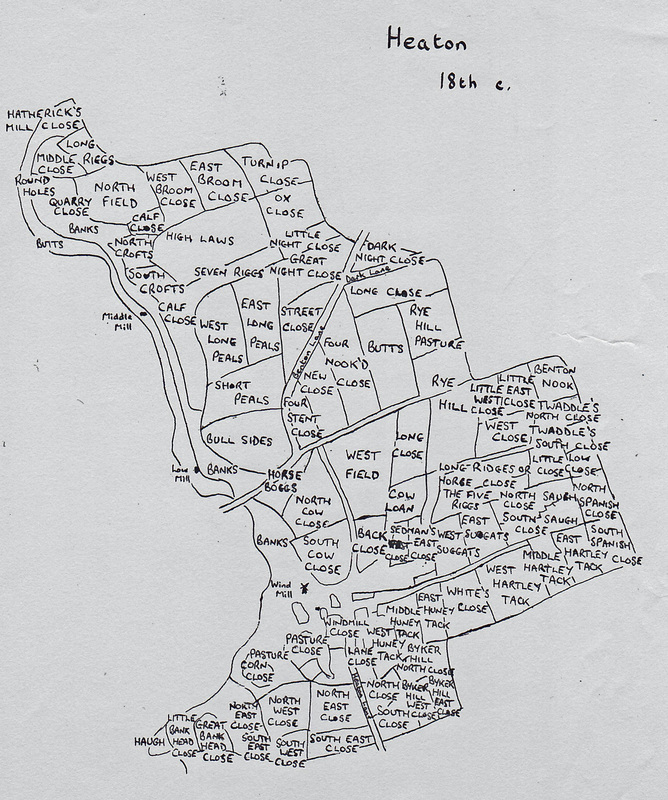 This entry was posted in Research and tagged Annie Hill Gray, auctioneer, Back Close, Byker Bar, Chillingham Road, Constantine Charleton Brown, Craigmore, farms, field names, Frederick Burn White, Frederick Charles Davison, Heaton Park Road, Heaton Road, Heaton Town Farm, Lord Armstrong, pawnbroker, Robert Keith Imeary, Rothbury Terrace, Slater and Davison, wherry owner, William Armstrong, William Watson Armstrong on February 2, 2015 by oldheaton.